Does Linguistic Obfuscation Exacerbate our Use Ambivalence? efficiency of patient care] with support for efficient processes for health care delivery. A patient record system is a type of clinical information system, which is dedicated to collecting, storing, manipulating, and making available clinical information important to the delivery of patient care. The central focus of such systems is clinical data and not financial or billing information. Such systems may be limited in their scope to a single area of clinical information (e.g., dedicated to laboratory data), or they may be comprehensive and cover virtually every facet of clinical information pertinent to patient care (e.g., computer-based patient record systems). — Health information and data. Having immediate access to key information – such as patients’ diagnoses, allergies, lab test results, and medications – would improve caregivers’ ability to make sound clinical decisions in a timely manner. — Result management. The ability for all providers participating in the care of a patient in multiple settings to quickly access new and past test results would increase patient safety and the effectiveness of care. — Order management. The ability to enter and store orders for prescriptions, tests, and other services in a computer-based system should enhance legibility, reduce duplication, and improve the speed with which orders are executed. — Decision support. Using reminders, prompts, and alerts, computerized decision-support systems would help improve compliance with best clinical practices, ensure regular screenings and other preventive practices, identify possible drug interactions, and facilitate diagnoses and treatments. — Electronic communication and connectivity. Efficient, secure, and readily accessible communication among providers and patients would improve the continuity of care, increase the timeliness of diagnoses and treatments, and reduce the frequency of adverse events. — Patient support. Tools that give patients access to their health records, provide interactive patient education, and help them carry out home monitoring and self-testing can improve control of chronic conditions, such as diabetes. — Administrative processes. Computerized administrative tools, such as scheduling systems, would greatly improve hospitals’ and clinics’ efficiency and provide more timely service to patients. With all the confusion surrounding terms like quality improvement and “meaningful use” which can mean major Federal dollars to the coffers of a medical practice, clinic or hospital; are we still confused about basic definitional terms? And, does eMR linguistic obfuscation exacerbate our use ambivalence and encourage physician/dentist eMR avoidance? 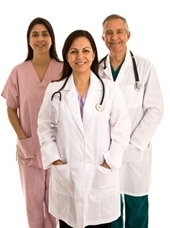 EHR (electronic health record) is often used interchangeably with EMR (electronic medical record). In this discussion, EHR will be used consistently. More than a few mutual, hedge and endowment fund managers have noted that they commonly compare their endowment and portfolio allocations to those of peer institutions and that as a result, allocations are often similar to the “average” as reported by one or more surveys/consulting firms. One interviewed endowment fund manager expanded this thought by presciently noting that expecting materially different performance with substantially the same allocation is unreasonable. It is anecdotally interesting to wonder whether any “seminal” study “proving” the importance of asset allocation could have even had a substantially different conclusion. It seems likely that the pensions and funds surveyed in these types of studies have very similar allocations given the human tendency to measure one-self against peers and to use peers for guidance. This is a truism in medicine as well as the financial services sector. Although peer comparisons can be useful in evaluating your portfolio, or your hospital or medical practice’s own processes, groupthink can be highly contagious and dangerous. For historical example, in the first quarter of 2000, net flows into equity mutual funds were $140.4 billion as compared to net inflows of $187.7 billion for all of 1999. February’s equity fund inflows were a staggering $55.6 billion, the record for single month investments. For all of 1999, total net mutual fund investments were $169.8 billion meaning that investors “rebalanced” out of asset classes such as bonds just in time for the market’s March 24, 2000 peak (as measured by the S&P 500). Of course, physicians and investors are not immune to poor decision making in upward trending markets. In 2001, investors withdrew a then-record amount of $30 billion in September, presumably in response to the September 11th terrorist attacks. These investors managed to skillfully “rebalance” their ways out of markets that declined approximately 11.5% during the first several trading sessions after the market reopened, only to reach September 10th levels again after only 19 trading days. In 2002, investors revealed their relentless pursuit of self-destruction when they withdrew a net $27.7 billion from equity funds just before the S&P 500’s 29.9% 2003 growth. Although it is easy to dismiss the travails of mutual fund investors as representing only the performance of amateurs, it is important to remember that institutions are not automatically immune by virtue of being managed by investment professionals. For example, in the 1960s and early 1970s, common wisdom stipulated that portfolios include the Nifty Fifty stocks that were viewed to be complete companies. These stocks were considered “one-decision” stocks for which the only decision was how much to buy. Even institutions got caught up in purchasing such current corporate stalwarts as Joe Schlitz Brewing, Simplicity Patterns, and Louisiana Home & Exploration. Collective market groupthink pushed these stocks to such prices that Price Earnings ratios routinely exceeded 50 [nothing in the internet age]. Subsequent disappointing performance of this strategy only revealed that common wisdom is often neither common nor wisdom. 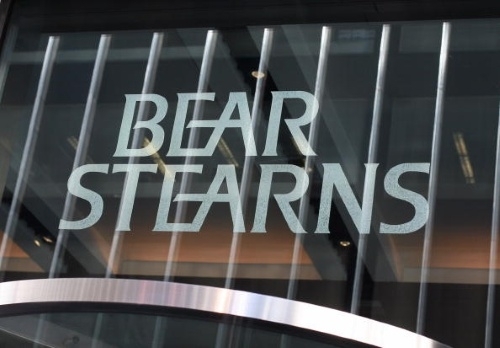 Recall that The New York Times reported on June 21, 2007, that Bear Stearns had managed to forestall the demise of the Bear Stearns High Grade Structured Credit Strategies and the related Enhanced Leveraged Fund. The two funds held mortgage-backed debt securities of almost $2 billion many of which were in the sub-prime market. To compound the problem, the funds borrowed much of the money used to purchase these securities. The firms who had provided the loans to make these purchases represented some of the smartest names on Wall Street, including JP Morgan, Goldman Sachs, Bank of America, Merrill Lynch, and Deutsche Bank. Despite its efforts Bear Stearns had to inform investors less than a week later on June 27 that these two funds had collapsed. The subsequent fate of these firms, and the history of the past two years, need not be repeated to appreciate that the king surely had no clothes. What broader message lies in this post relative to such medical initiatives as P4P, various clinical quality improvement endeavors and benchmarks, hospital peer-review, PROs, Medicare compliance, etc? 2001 Fact Book, Investment Company Institute. 2003 Fact Book, Investment Company Institute. Bajaj, Vikas and Creswell, Julie. “Bear Stearns Staves off Collapse of 2 Hedge Funds.” New York Times, June 21, 2007.